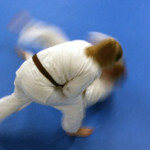 “…Aikido is different from all previous martial arts. Its sole purpose is to experience universal truth in one’s own body and spirit. Sometimes my brain seems like hard, dry ground. If too much information is poured onto it, a lot runs off, and down the gutter. More soaks in from a gentle rain than from a fire hose. Even so, it sometimes sits in pools for days before it settles into the soil. Eventually the ground softens, and some time later I begin to notice hints of green. Tiny leaves of knowledge, sprouting. Sometimes bits of information are more like ping-pong balls, fired from all directions. I see them all, but can only grab so many before they bounce away. I might notice that several went off into a corner, and I can go and collect them later, but many more escape. And then there are times like tonight, when something precious is gently offered. I accept it with both hands, not sure what it is, and hold it as tightly as I dare, for fear of dropping it. It seems fragile, and important. Rare. I turn it this way and that in the light, feel the roughness and smoothness of it, and listen for any sound. Perhaps if I sit quietly enough, and look into it long enough, I will understand its message. 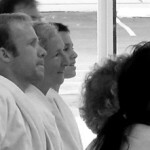 Amazed at the joy available in Aikido. Full of energy, comfortable in my body. Settled mind, leaping heart, yearning. A song you loved and hear again. New messages, new meanings, new joy. Fresh ears, fresh eyes, an open mind. An open body in clear air. Connection. A few months ago I said I felt “Like Bread Dough,” letting things settle in as a new 5th kyu. I decided to allow myself to spend some time just showing up and training. I have indeed been doing that, while mostly concentrating on other things – training my horse, getting some health questions answered, helping move the dojo, and doing my work and a few house projects. 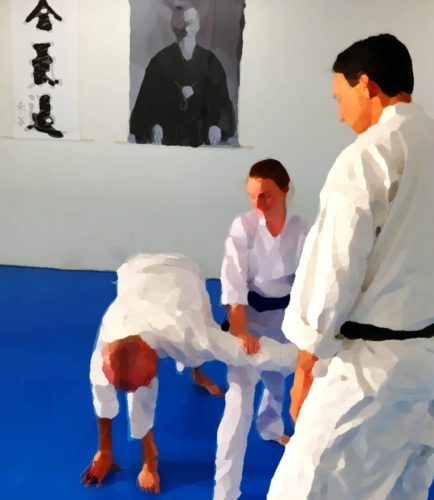 While some of those things are still ongoing, I’ve found that lack of focus on my Aikido rather unfulfilling, and now I’m eager to get back to work. 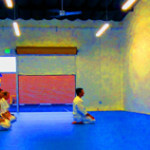 Looking forward to class tonight!